New York state troopers arrested two people after a woman and her son reported that a group yelled racial slurs and forced their car off the road before damaging the woman’s car with baseball bats and cookware. The truck eventually rammed Shim’s vehicle onto the shoulder, where, Shim and other witnesses say, three men and two women began attacking her car with sticks bats and, according to one witness, a frying pan. Probably one of those good frying pans, too. I’m guessing it was either cast iron or one of those copper pots. I want one of those. The ads make them look indestructible, although the commercials don’t say if they can smash a car window while someone is screaming the n-word. They probably wouldn’t put that in the advertisement, but if they did, I bet it would sell out because of Donald Trump supporters alone. OK, maybe I’m getting off-topic. As the group yelled racial slurs, screamed (OK, I’ll admit that this part is hard to believe), “We are the white supremacists!” and smashed the car windows, Shim’s son managed to call 911, but the suspects got away. 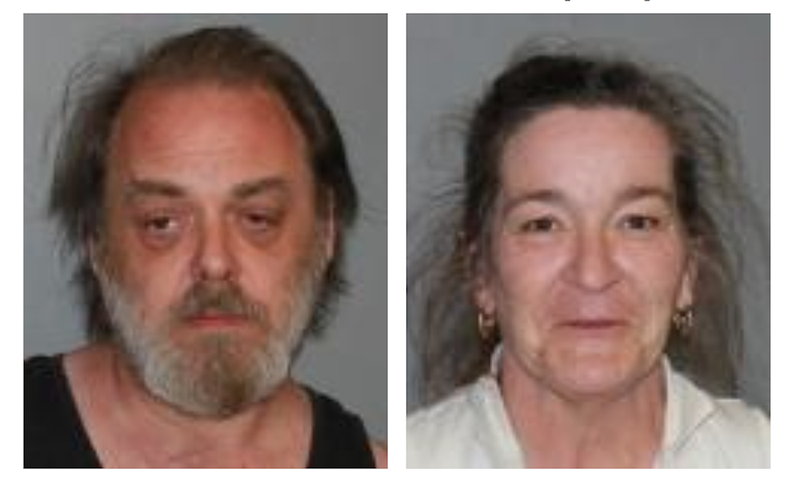 Because the incident happened on a state road, New York state police began investigating the entire May 10 episode and later arrested 51-year-0ld Kristen Wright and 50-year-old Phillip Quandt Jr., both of whom look like they were beaten with skillets. OK, so now I might believe Shim’s account of Mrs. Hill and Mr. Billy, because the Times-Union reports that Wright and Quandt saw Shim’s son purchase a Slushee in a gas station and thought he looked like someone who had stolen their car radio a few months prior. And that’s what prompted the pair to go all “Dukes of Hazzard” on the Shims. Jethro and Ellie Mae were charged with one count each of criminal mischief in the second degree, a felony; and reckless endangerment in the second degree and menacing in the second degree, both misdemeanors, according to the state police. Wright was released on $5,000 bail, but Quandt remained in jail on $10,000 bond, according to a police press release. Police have not released any information on the frying pan.